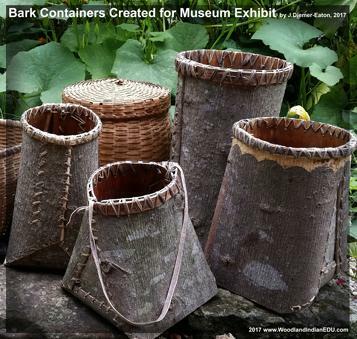 Bark was a major resource for the Native Peoples of Eastern North America... it provided the fibers necessary to make cordage and textiles, it provided house coverings that kept residents dry, and bark provided a hard but formable material perfect for making containers and canoes. 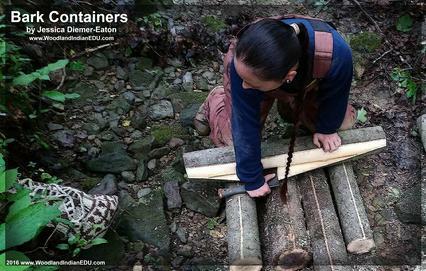 The forests of the east provided well for the Indigenous populations, hence they are the Woodland Peoples. 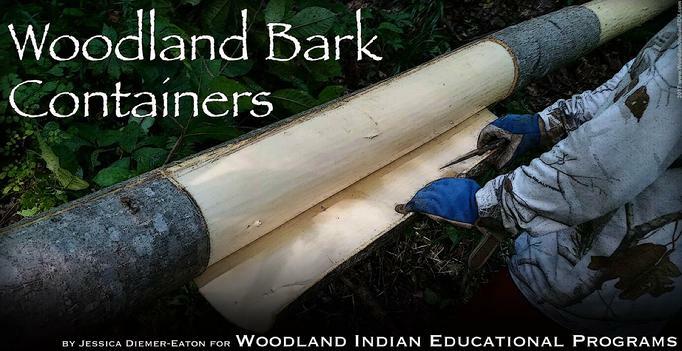 While birch bark is well known for its use in house building and canoe making, most barks utilized in the Eastern Woodlands was not “light bark” like birch, but instead “heavy bark” like elm, ash, basswood, cedar, cypress (in the south), and likely hickory, poplar, maple and others. This is because the natural birch habitat is found mainly in the northern forests… Michigan, Wisconsin, Minnesota, and the northern New England states... where it can grow to adequate sizes, necessary for birch bark harvesting and use. 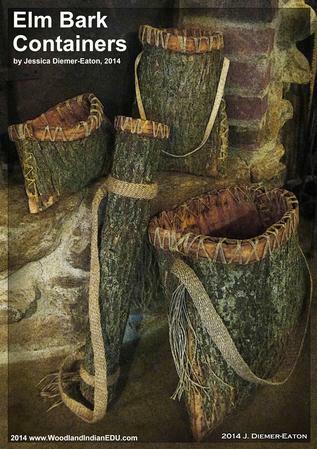 Only the residents of these forests placed great importance on using birch as an everyday material for making containers, utensils, canoes, wigwams, and toys, and as a medium of communication (birch bark scrolls). And again, most did not use birch bark much only because they lived in the forests below this natural birch habitat. Hence dugout canoes, not birch bark canoes, were popular among communities south of the upper Great Lakes and New England areas. So why do we refer to birch bark as “light bark” and all others utilized (elm, ash, etc.) as “heavy bark?” Well sure, the other barks are indeed heavier in weight compared to birch, but birch is also very unique in its characteristics, making it a material that is used differently than bark from other species of trees. 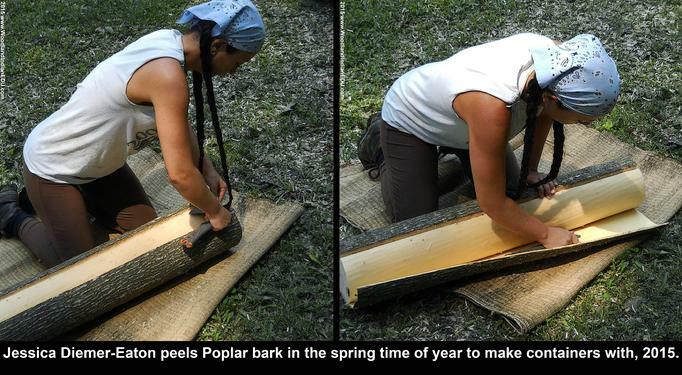 Birch bark keeps itself naturally well preserved – not rotting near as quickly as other barks once they are peeled. 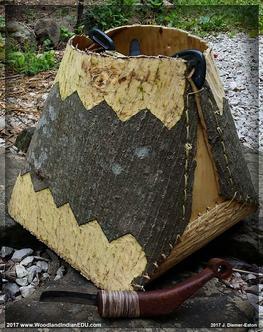 Birch bark is also easily used and reused. Unlike other barks, birch can be rolled up, stored, spread on a home, rolled up again, stored, and cycle repeated, with little more than the assistance of hot water to help ease the bark while unrolling. Other barks, like those from elm or ash, must generally be used rather right away after peeling. It can be kept moist for a few days but then needs to be used for its intended purpose, whether covering a home, making a canoe (yes, some made elm bark canoes) or creating a container. These barks must stay "formed" and in place, as it cannot be reshaped as successfully (often not at all) and moving these types of barks (as in sheets for covering homes) can cause them to curl, which in their case, leads to cracking. 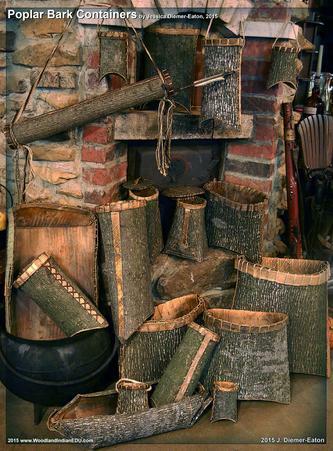 And because birch bark can be used and reused, and is in fact light in weight, it’s a material that many northern folks used to cover temporary lodging as it was easily transported. Other barks were not easy to move (both due to weight and its tendency to crack), so they were generally harvested in the area a home or camp was to be built... and such bark stayed on the lodging permanently, whether the owners were residing there or not. Heavy barks just did not travel well (particularly in larger 6 or 8ft long sheets intended for house coverings), making them counteractive to efficient camping (excluding sites that were resided in annually).